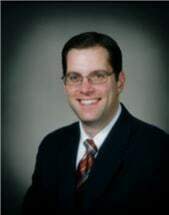 David R. Smith joined the firm in December 2002 after receiving a Bachelors of Business Administration (with a concentration in Petroleum Land Management) from Texas Tech University in 1998 and his Juris Doctorate from South Texas College of Law in 2002. He is licensed in Texas (2002), New Mexico (2003) and Arkansas (2009). In 2013, he became Board certified in oil, gas and mineral law by the Texas Board of Legal Specialization. As a shareholder in the firm, David works in many areas of oil and gas law, as well as consulting on various issues including rights-of-way, pooling, unitization, purchase and sale agreements, and other legal matters relating to oil and gas law in Texas, New Mexico and Arkansas. He has been a guest professor at Midland College where he spoke on “Pooling Basics in Texas and New Mexico,” and has been the guest lecturer at several functions, including the Houston Association of Division Order Analysts (“What’s With All of These Title Requirements”); Permian Association of Lease Title Analysts (“What With All of These Title Requirements” and “The Non-Consenting Non-Participating Royalty Interest Owner”); Permian Basin Association of Division Order Analysts (“Chaining Title and Calculating Interests”); National Association of Lease Title Analysts “Chaining Title and Calculating Interests”); and the 25th Advanced Oil, Gas and Energy Resources Law Course (“NPRIs: Selected Issues Involving Non-Participating Royalty Interests”). He received a Certificate of Appreciation in Recognition of Distinguished Service on the Faculty of the 25th Advanced Oil, Gas and Energy Resources Law Course. He is a member of the Texas Tech University Health Science Center of the Permian Basin, a graduate of Leadership Midland, Class of 2005; and served on the Board of Trustees (as Secretary in 2006) and as Representative to the Finance Committee of First United Methodist Church in Midland. David is also a member of the Permian Basin Landman’s Association and the Midland County Young Lawyer’s Association. David is a fourth generation Midlander.